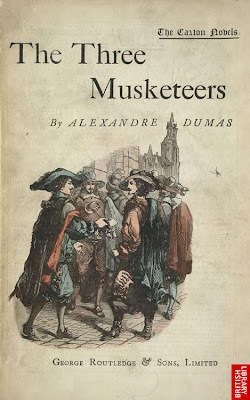 The Three Musketeers is the ultimate adventure/action book. It’s totally over-the-top -- gallantry and chivalry and duels and honor and all that, but in a really fun way. The book was originally written in serial form, much like Charles Dickens’ books. But unlike Dickens, Dumas writes all-action (no philosophizing). Every chapter ends with a cliff-hanger that makes you want to keep reading. The story is about four comrades in arms – Athos, Porthos, Aramis, and D’Artagnan (yes, that “Three” in the title is misleading). 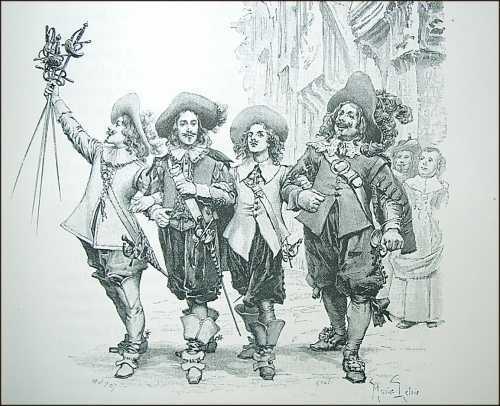 They are men of honor serving King Louis XIII of France in the King’s guards, aka the musketeers. The intrigues they get mixed up in involve all levels of royalty and require dashing deeds of bravery (or stupidity, if you want to look at it too seriously). One great adventure mid-book is their ride across the country to France. All four set off with their lackeys on a desperate mission to retrieve two diamond studs from Lord Buckingham for the Queen of France. It’s a pretty awesome story-line…I won’t give anything away. The writing is a little dated, but very clever. Dumas is funny and his characters are kind of sassy. You’ll like The Three Musketeers if you liked The Count of Monet Cristo, or Les Misérables. And conveniently I read it just before a new movie comes out!